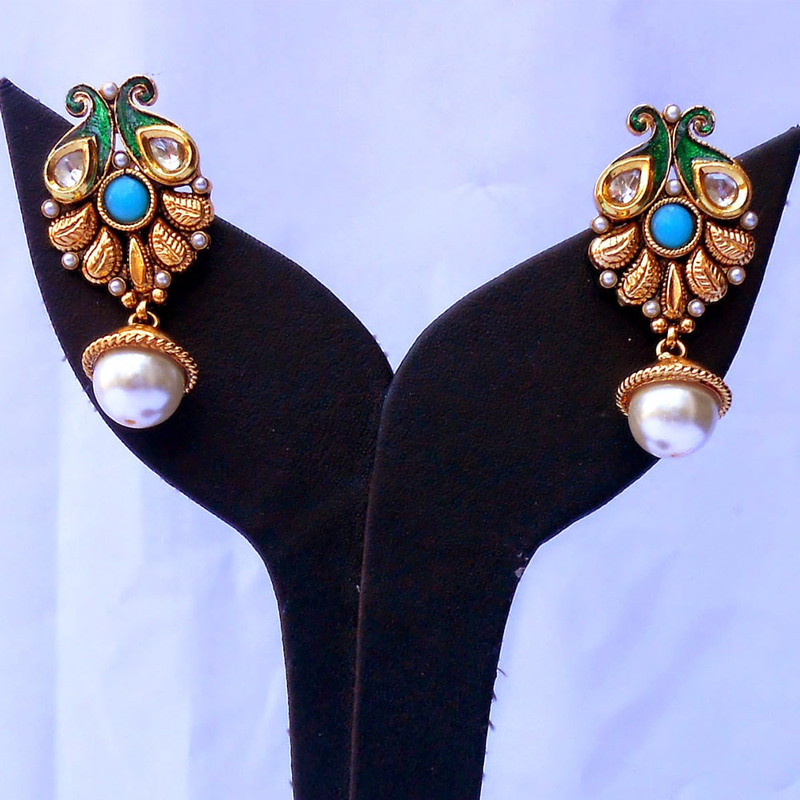 This pair of turquoise designer earrings consists of an intricately designed gold plated body crafted in brass metal with pearls bedecking it to look even Read More..more mesmerizing. White pearls of larger dimension stud the upper portion of the stub while smaller ones intersperse the brass body on the lower half. A circular turquoise one adorns the center of the stub and renders to it a sense of serenity. Finally, a larger white pearl dangles from a brass encasing connected to the main body of the earrings. Show Less..